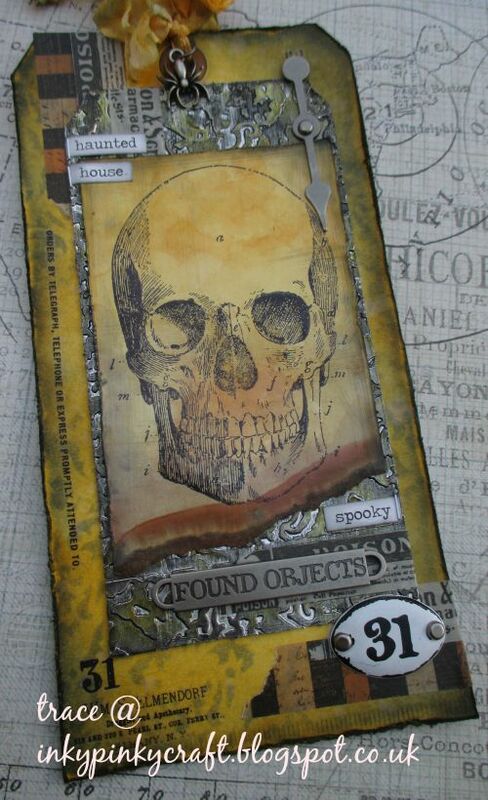 I couldn't resist playing with Halloween , and I love this Tim Holtz skull - I am eagerly awaiting the arrival of the new one out... So here is what I did .. 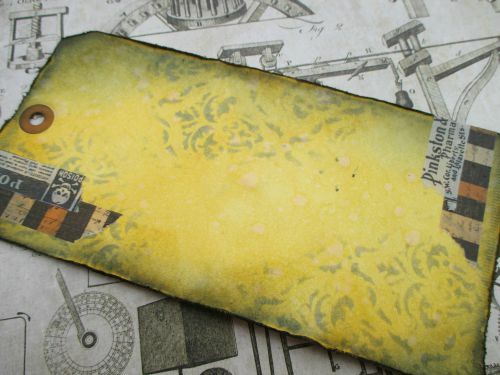 I decided to create a layered tag...something I love to do as you have lots of room to create detail and yummy layers of Tim yumminess. 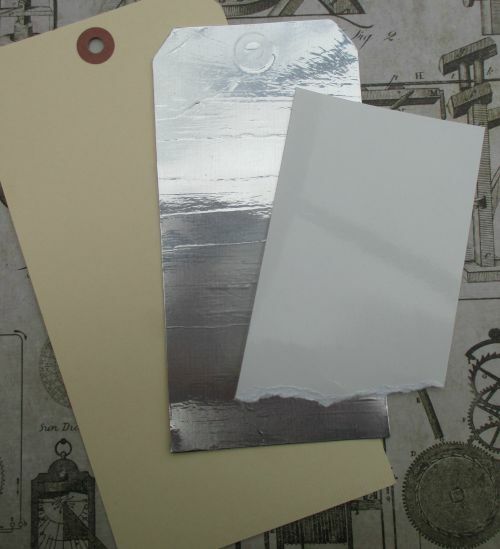 The large tag was for the base layer, I used alcohol ink card for my ombre and some foil tape added to a smaller tag #8 for the middle layer. 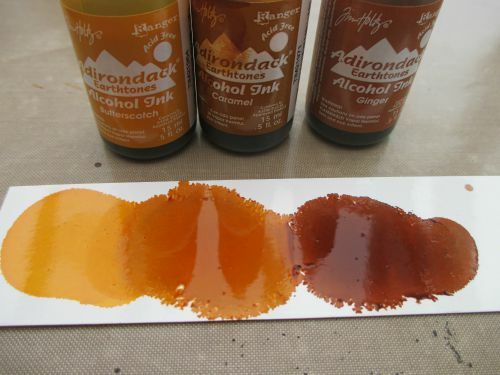 I added some colours of alcohol ink to a test piece before following Tim's instructions in Compendium as in ingredients to create my ombre effect..
Again using the alcohol ink ..and for the foil tape part, I covered the smaller tag and embossed using damask texture fade, I then applied some butterscotch and also slate inks to the surface . 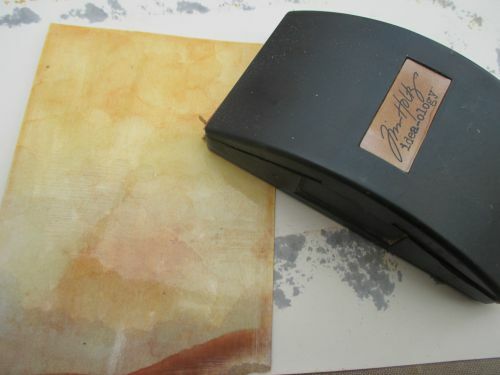 Now to grunge up the ombre piece, I took out my trusty sanding grip and lightly sanded some areas..
To complete the base tag I scuffed edges, added some of the new and old tissue tape for Halloween and inked edges. 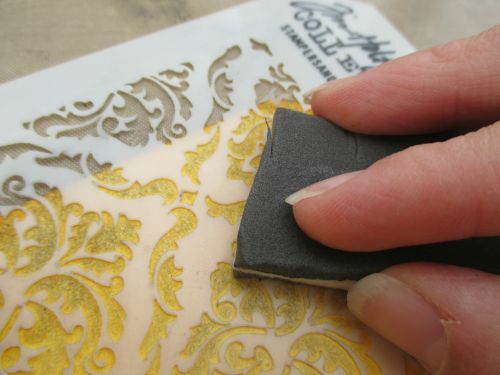 I then added the foil covered tag ..and more tissue tape..I love builidng up my layers .. 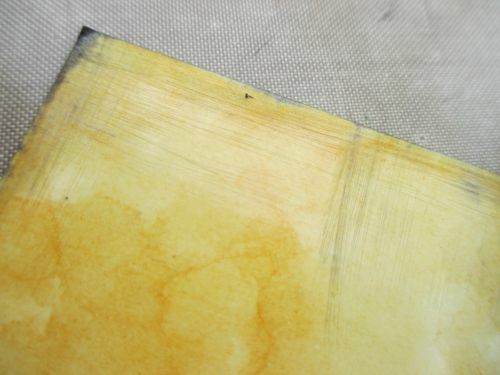 I added some rub ons...you need to make sure the distress ink is completely dry...and this takes a while or heat dry.. 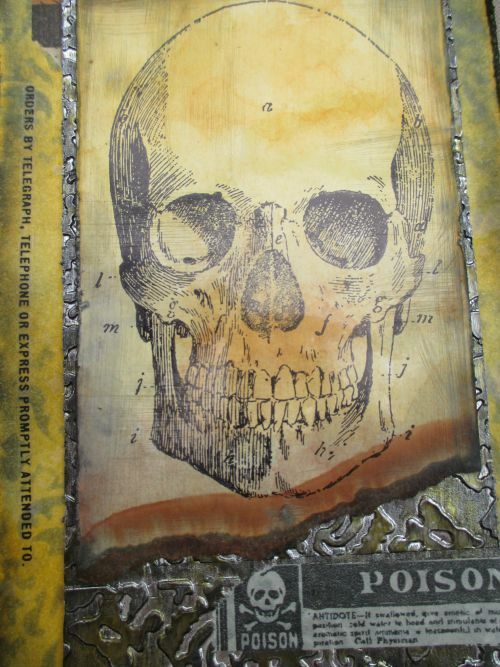 I stamped the skull, in jet black archival onto the ombre panel and added to the top of all those layers.. 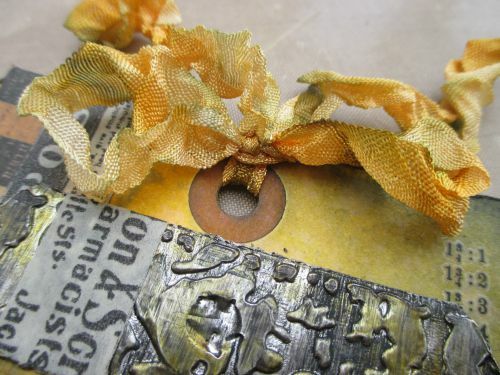 I comleted the tag with some dyed seam binding.. Awesome, awesome tag Trace!! Love how you built it all up! The obre background looks stunning together with the embossed foil tape tag layer, as to that skull, just perfect for Halloween! Brilliant inspiration piece, love it and such a great step by step!!! Gorgeous Trace! Love the design and details! Wonderful step-by-step! Cool effect and tag! 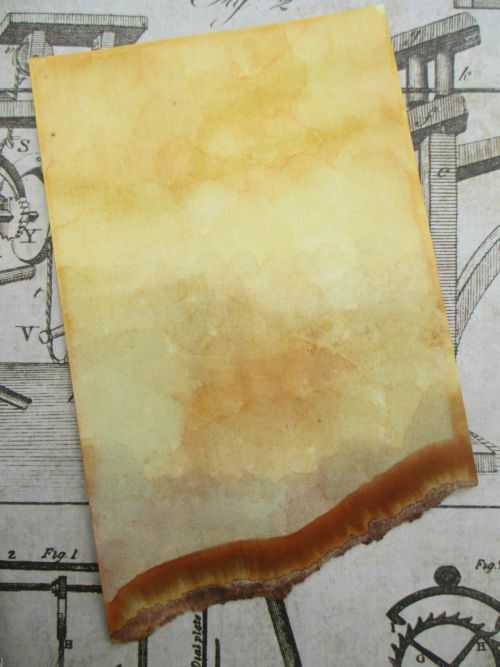 Love the cool texture in the background. 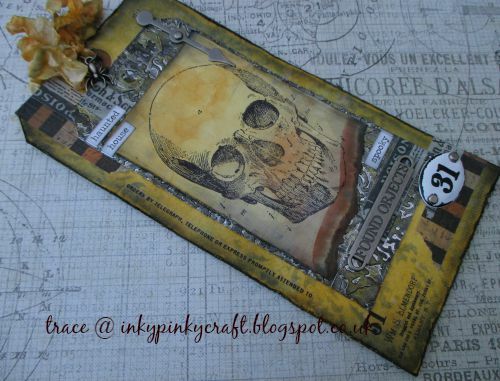 What a fabulous spooky tag, Trace - the skull is one of my favourites too, and he looks amazing here - love that torn strip with the deeply coloured ink stripe. 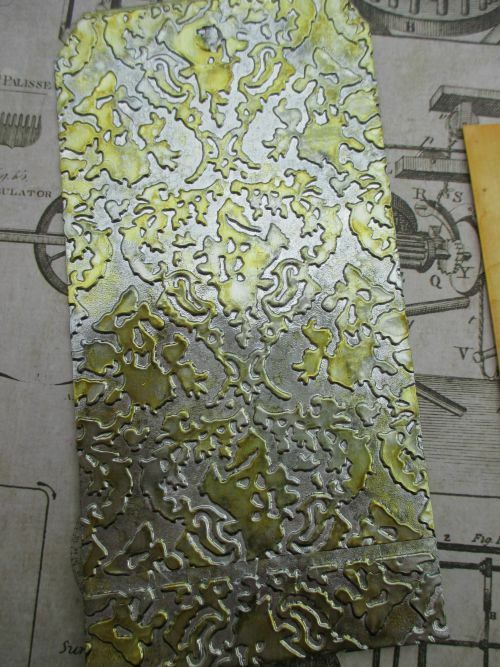 The textures and metallic elements look fantastic too. A great bagful of inspiration. FABULOUS!!! 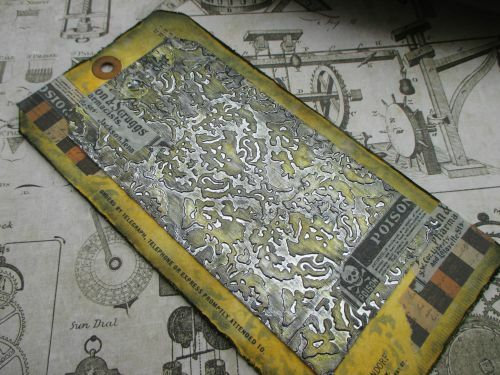 LOVE it all...the embossed matting, the background tag, the skull, love it all! Brilliant layers Trace, love your tag.